HISTORY: The Seamaster divers watches need no introduction whatsoever, since the development of the original Seamaster 300 they have been synonymous with high quality professional diving equipment and Omega have made some of the most famous dive watches of all time over the latter part of the 20th Century, including the remarkable PloProf. Amongst their achievements was the Seamaster 200 Banana, nicknamed because of its bright yellow dial. What makes this watch special is was developed specifically at the request of the French Navy, specifically "Service hydrographique de la Marine Française" or SHOM. 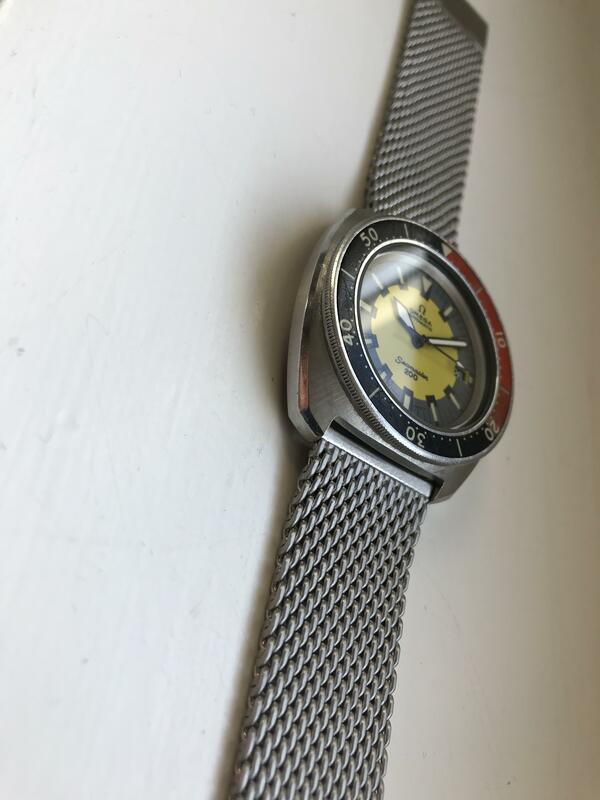 Although not initially available on general release Omega then made the watch commercially available, although in relatively small number and as such they are now quite rare. CASE & CASEBACK: Very solid 3-piece steel case with pressure fit steel bezel and screw in case back measures 40,0 mm wide not including crown x app. 43 mm long x app. 12 mm high. There are minor marks from wear and a few minor scratches. The lugs are very thick. Overall very good vintage condition. The original bezel looks very good with some very limited delaminating and limited older scuffs/marks but is also nice and sharp— Excellent condition. 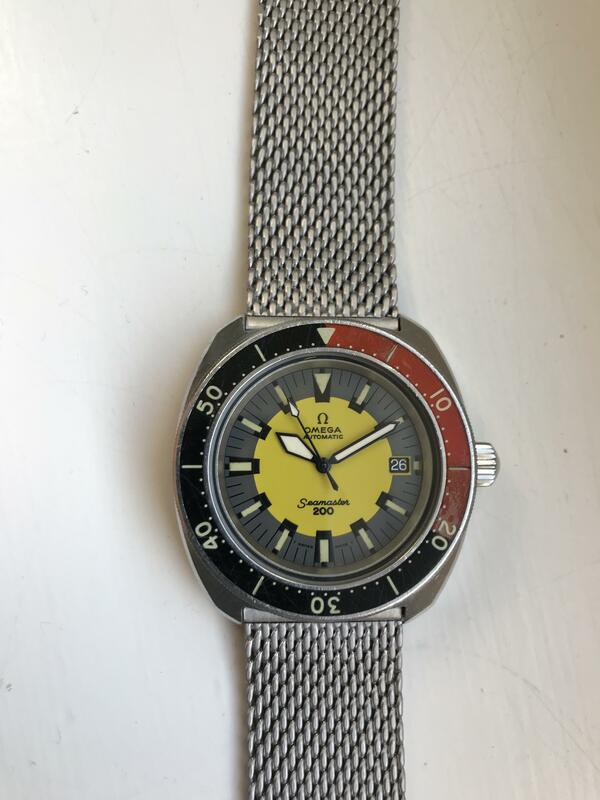 The outer back is marked is marked Seamaster, tested 200m and of course the Seahorse inscription and is further marked with, on the inside, the reference 166.066. The original polish is still visible. CRYSTAL: New and original Omega. 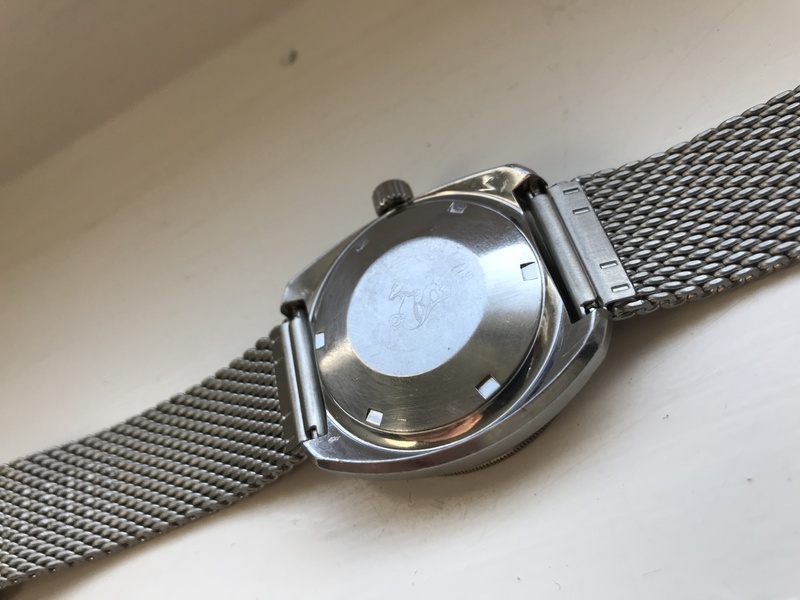 STRAP: Aftermarket and hardly used Milanese strap. This watch has a lug width of 22mm. FURTHER REMARKS: Given that I am raising money for a business venture no trades please. Payment in euro. Bank wire strongly preferred. Paypal to be discussed but you pay fees. Personal delivery within reason. I have dozens of feedback on various watch forums and over 200 on Ebay (as Mark020).